Doing it Right? — What’s Wrong Here? We Act Radio experienced telephone trouble on the morning of this broadcast. We apologize for glitches and interruptions in sound quality. In the context of exploring resources and achievement in education, however, perhaps these communication challenges can serve as an unintended illustration of how “conditions of learning” impact everyone’s experience. Dr. Noguera is an urban sociologist, professor of education, and leading voice for healthy public schools. He engaged in a free-ranging conversation about schools that are “doing it right,” failures of recent approaches to education reform, and some essential issues often overlooked in considering the realities of public schools and their students’ lives. Focusing one one “Achievement Gap” can miss opportunities for transformation and lasting reform, Noguera argues. Noguera comments on the legacy of Michelle Rhee, within the context of “the relentless push to privatize” our schools nationally, and the failures of national policy which has not yet managed to address the needs of all children. Listen to the recorded conversation — January 3, 2013 Education Town Hall — and add your comments here. 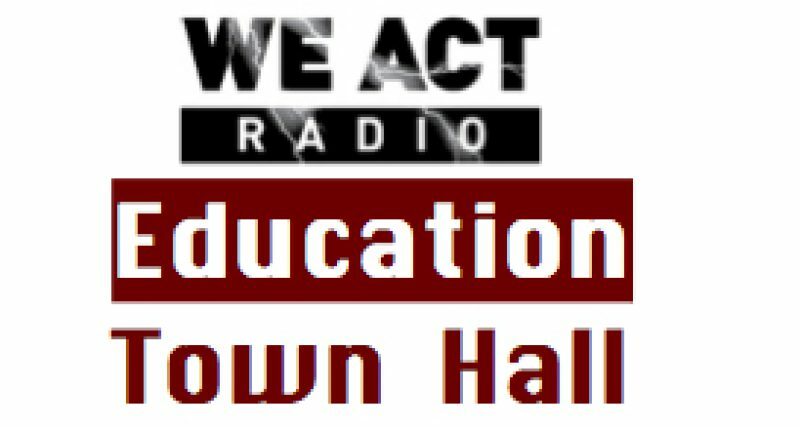 Tune in to The Education Town Hall, Thursdays at 11 a.m., on We Act Radio (1480 AM in the DC metropolitan area) or listen live via internet, and add your thoughts live by calling 202-889-9797.